"Hello, my name is Meline, I am a 25 years old girl from France. I am majoring in English, Korean and International relations at La Rochelle University. I came to Korea as an exchange student few years ago and I wanted to have a working experience abroad thanks to Acopia." "Hi ! My name is Viviane. I’m in my 2nd year of Bachelor at Emlyon Business School in Saint Etienne in France. I had to make an internship during this semester and i decided to come in Korea to join the Asia Hope Work Camp to gain an experience abroad." "Hi ! my name is Yannis. I'mna French intern. I am taking a bachelor degree at EMLYON Business School. For my 4-years program, I had to do an internship for 4 months in a foreign country. " "My name is Manon and I’m currently in first master degree at ESCD 3A Lyon. During my studies I had to do an internship and the internship’s program of ACOPIA meets my expectations." "My name is Karine Liao and I’m currently in 3rd year of a Bachelor Degree in IESEG School of Management in Paris. During my studies, I have to do an internship abroad." "I’ve been doing my internship at ACOPIA for a month now. During these 4 weeks, I mainly worked on the promotion of the events that ACOPIA organizes (Kpop camp, meetup, multicultural classes)"
"Asia Hope Camp Organization allowed me to broaden my horizons and discover new aspects of Korean culture through participation in a camp in the countryside." "Why did I come to South Korea and why did I choose to do my internship in Asia Hope Camp Organization are maybe the questions that you will ask. I will explain it to you. First, let me introduce myself." "My name is Mylène OURY, I’m a french student actually doing a master at Inalco in Paris. I major in Korean and communication." "I was very excited to come to Seoul and work with an NGO in promoting Asian cultures and discovering new horizons." "My name is Dounia Omar and I have been an intern for the NGO Acopia. I’m a student in my last year of a Cultural Coordination Bachelor at the School of Arts and Culture in France." "I’ve been working at ACOPIA for over a month already. In the past few weeks, I've focused on building ACOPIA Global, a new- more streamlined - website for the organization along with a fellow intern. " "During the first week of my internship, I was pretty overwhelmed with the things we were supposed to do. There were several things that I didn’t know how to do like editing a webpage, creating different promotional materials, formally messaging organizations, a lot more." "In the past, the thought of having to work someday scared me a lot — especially the thought of having to sit down while staring at your desktop for hours. This experience of interning in ACOPIA, however, had definitely changed my perspective on having to work. " "I came to Seoul South Korea with high hopes of the working in a prestigious establishment, no other than, ACOPIA. It was to my surprise that my overall experience here so far, has surpassed my expectations." 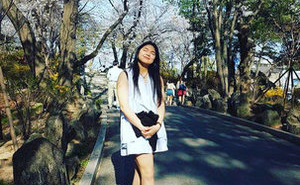 "My name is Erika Zamora and I am currently studying under the program of AB Diplomacy and International Relations at the Ateneo de Manila University in Quezon City, Philippines." "I’m Alvin Acosta taking Diplomacy and International Studies in Ateneo de Manila University, and I applied for an internship in Asia Hope Camp Organization because I wanted to experience working abroad." "I am Camille Tajon from the Philippines. In 2015, I went to South Korea to study at Sungkonghoe University in Seoul. Because my graduate degree is centered on Inter-Asia NGO Studies, I hoped to gain more experience in learning how NGOs work especially in Asia." "Hi! My name is Jezel Christine N. Quevada but you may call me Jezzie. I am currently on my last year in my Master’s Degree in Political Science in De La Salle University – Manila in the Philippines." My name is Kai Baylon and I am a student at the Ateneo de Manila University in the Philippines. I'm majoring in Diplomacy and International Relations. I am also taking up a minor in Korean Studies. 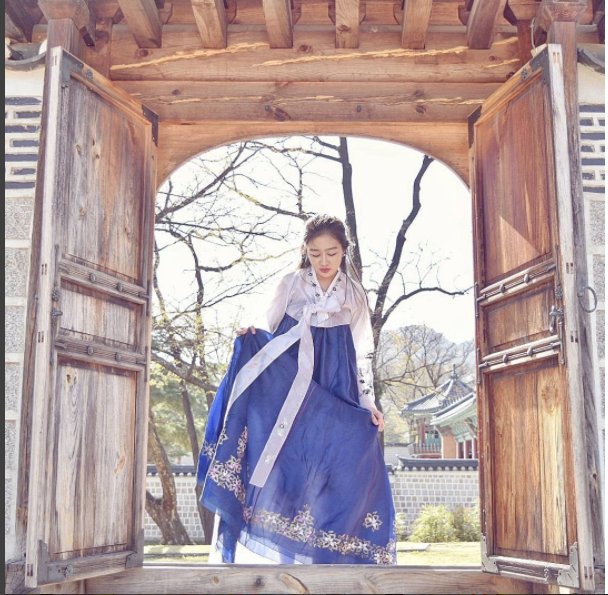 "I have been studying at Kyunghee University as an exchange student for about a year, since February 2016. Before coming to Korea I studied Korean language for two years at my university but I felt that I could not reach the level I wanted. " "Since I`m already in the 3rd year of University, I started to be concern about getting a job when i go back to Japan. I felt that I needed to gain some experience. My courses at the university were going well so I decided to apply for this internship at Hiroba." "I came to Korea as an exchange student from Waseda University at the end of August this year. The reason why I decided to study abroad in Korea was because I wanted to get to know Korea better." "My name is Shun Tamai, I`m an exchange student at Yonsei University. I`ve been working as an intern in Asia Hope Camp Organization since September 2016." "I decided to apply for this internship because I wanted to work with people from different cultures and actually wanted to work overseas." 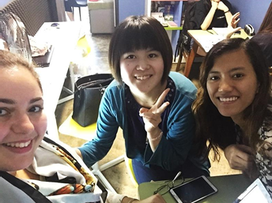 "I have been exchange student at Seoul Women's University for about a year since February 2016. While studying about Korea at my university back home and after participating in the Japan-Korea exchange meeting, I decided to study about Korea more deeply going to study there for a year." "Although my internship lasted only two months, from June to August 2016, I became very close to the interns at Korea Plaza Hiroba." "Back home, I did my first year as a student of trade at Samo Education School. After my year in Korea will I start searching for a job. In order to have some experience working abroad I decided to intern for Asia Hope Camp Organization." "Hi! I am Naz from Malaysia. The internship is a requirement for my International Masters in Regional Integration course. Like the name suggests, I am studying the integration of countries like European Union and ASEAN." "This month I mostly worked on looking for local Malaysian organisations to pursue volunteering partnerships with them. Together with Naz, we identified a few local organisations providing opportunities to international participants and we contacted them accordingly." "My Name is Thomas Schobert and I am a graduate student in International Cultural and Business Studies at the University of Passau." "Hello, my name is Yasemin Derebasi. Currently I am studying International Relations in the Rhine Waal University of Applied Sciences in Germany. I decided to make a voluntary internship in order to gain experience and skills in the field of NGO´s." "My name is Katja Marie Engelage and I am majoring in International Relations with a minor in Management at the University Erfurt. As I am specializing my studies in the East Asian region I came to Korea as an exchange student for two semesters. "My name is Lucia Filinich and I'm a graduate student from Argentina at Sogang University. My major is Korea and East Asian Studies with minor in International Relations. Since I was very young I`ve been interested in Asian countries, especially Korea and Japan." "My name is Esra Gayretli. I am Turkish and an exchange student in South Korea for 2016 spring term. I had been in Korea for four days when I first came to ACOPIA." "Hi, my name is Rahma. I am from Indonesia and now 21 years old. I am a 3rd-year student in the Political Science University of Indonesia. I came to Korea to represent my university as an exchange student in Chung-Ang University, Seoul, for spring 2016." "During these two past weeks, I kept working on the promotion of the multicultural class as well as internship among the French speakers. I did the promotion through Facebook and various Facebook pages." "My name is Taylor, and I’m an American student from Goucher College in Baltimore, MD. I’m an English major, Business Management minor and, needing an internship for my degree, I chose to work here in South Korea." "Hello, my name is Margarita (Maggie) Rodriguez and I am a student at the University of North Carolina with a major in Psychology and minors in Education and Korean." "Greetings~I am Megan and I am going to tell you about the wonders of interning in Korea! Before I do that let me tell you a little about myself, (ahem) I am a Global Business major studying in my undergrad at the University of Texas at Dallas." "My name is Kinga and I’m a 2nd year student at University College of Northern Denmark. Since I’m very interested in different cultures, I decided to study in Denmark and complete my internship in South Korea.